There’s nowhere quite like New York City. The heralded metropolis has been the subject of movies, songs, tv shows, dreams and conversations all over the globe. The city that never sleeps is famous for about a million reasons, and it really does live up to these expectations. But a complaint that travellers have time and time again, is that the Big Apple is insanely expensive. But don’t fear! Experiencing New York on a shoestring budget is indeed possible – if you play it right, you can cut your costs dramatically in the city. I’ve been to New York twice, once with my family when I was about 12, and once a couple of years ago on my own. The second time, I was skint. I paid the money for a hostel, and then didn’t have much dollar to play with. But rather than let this defeat me, I researched all the free things to do in New York, and found a ton. 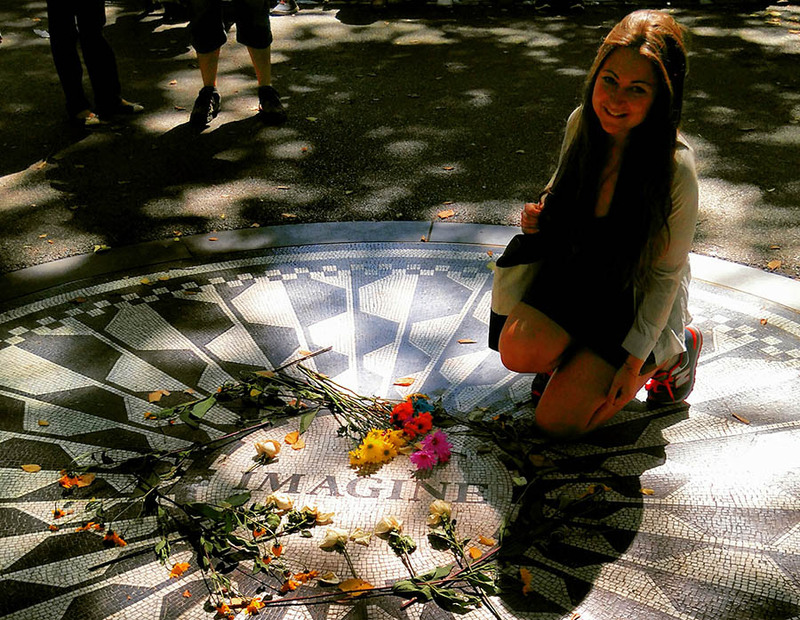 New York on a shoestring budget can be enjoyed – you’ve just got to know the tricks. 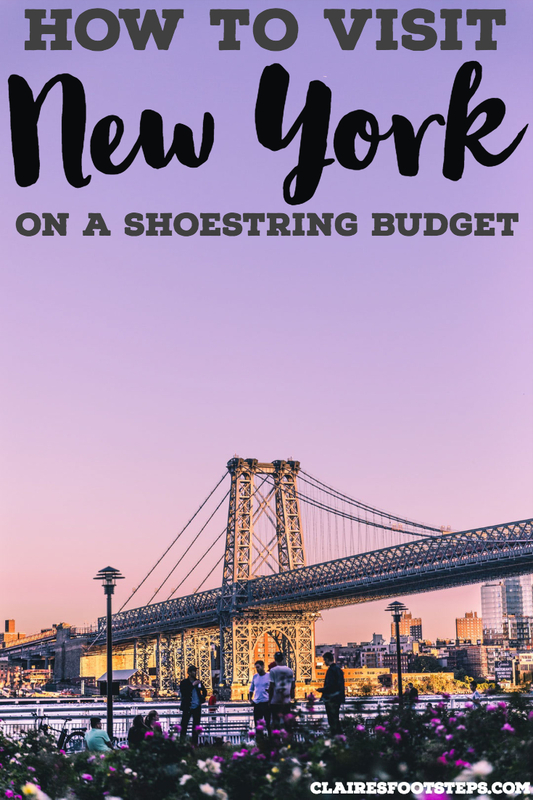 Don’t just take my word for it – I’ve teamed up with a bunch of other travel bloggers to show you that New York on a budget is so possible. We’ve taken into account some of the best travel hacks of New York to show you how to enjoy this city, even if you don’t have much money. New York is easily accessible from almost anywhere else in the states, lots of Latin America, and Europe. To get the cheapest flight deals, be flexible about where you fly in – La Guardia, JFK and Newark are your options. 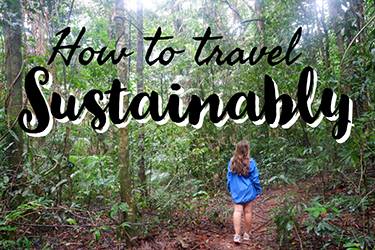 If you are coming from elsewhere in the states, consider taking a coach or train – it may be cheaper, plus it’s more sustainable. As mentioned, you’ll be flying into JFK, Newark, or La Guardia. 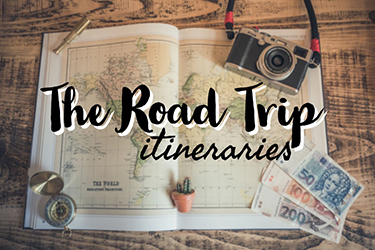 If you’re really comitted to exploring New York on the cheap, don’t jump into an iconic yellow cab – the public transport is enough to get you to where you need to be. From JFK, you can take the subway for just $2.75. You will most likely have to change, and it’s a good idea to know how the NYC subway system works before using it. You can also get a bus round trip for $35, which, although considerably more, still is a lot cheaper than a taxi. From LaGuardia you can get the Q70 bus and then transfer to subway for $2.75. Newark Airport is actually in New Jersey, but sometimes the best flight deals depart from here – especially those heading towards Europe. It’ll cost you $11.55 on the Amtrak to reach Penn Station in Manhattan, and then an extra $2.75 to use the subway. Note: when using the subway, if you buy a weekly pass for $31, this fare can be included. If you’re not from the USA or Canada and you haven’t already got one, you’ll need a US visa or ESTA. It’s also a good idea to recap some things you’ll need to know before travelling to the USA as well. There are heaps of things to do in NYC, but some of them can be pricey. But it’s not all bad news – there’s lots you can do for free as well. Here’s some of the best! When you walk to real downtown Manhattan, you’ll come across a bunch of people trying to sell you tickets for a boat to Liberty Island. Rather than walking right to the ports for these places, walk left and you’ll find yourself at the Staten Island Ferry terminal (if in doubt ask a policeman for directions). The Staten Island Ferry is completely free and actually a commuters ferry. You don’t get to get all close-up and personal with the big green lady, but you have a perfectly good photo op of her and great views of the Manhattan Skyline on the way back. Getting the ferry itself is a bit of an arduous process- they come every 30 minutes, then take about 30 minutes to cross and then you have to wait another half hour for the returning one. All in all, it can take two hours, but the Statue is a must see thing to do on a New York city trip and for free, you can’t complain. 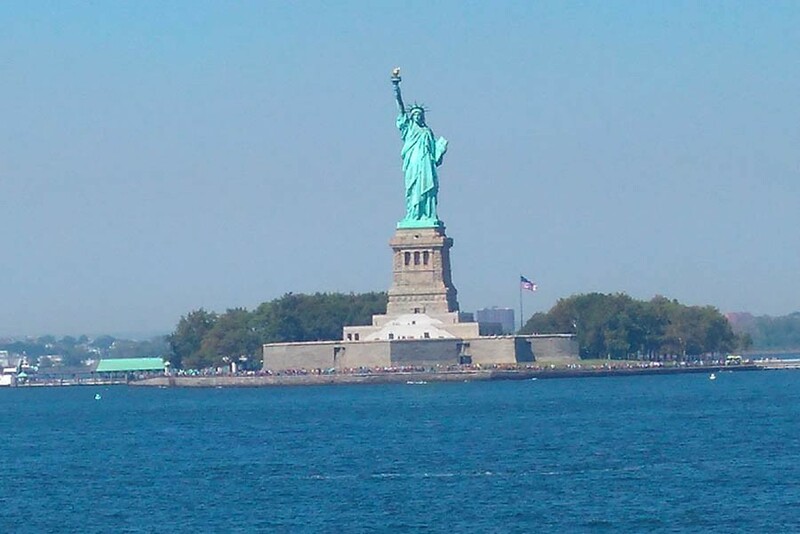 If you want to do a bit of reading up about Lady Liberty before you go and visit her, check out these 40 fun facts about the Statue of Liberty over at Where To This Time! If you can resist from buying everything, New York is great fun to window shop in. 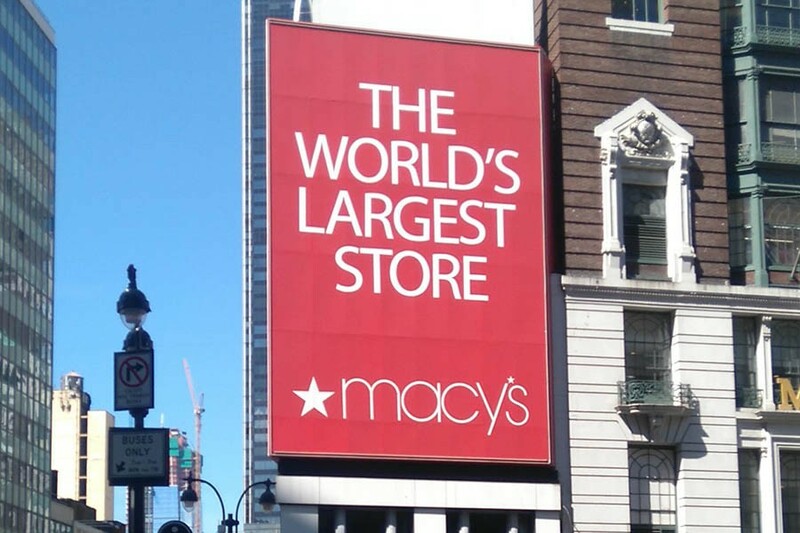 Whether it’s marvelling at Macy’s, exploring all the thematic shops of Times Square, or checking out Chelsea Market; New York really does have it all. My favourites were the flea markets in Brooklyn at the weekend; The Brooklyn Flea market is only open on Sundays and contains all sorts of charming bric-a-brac, and the less well known (and more expensive) Artists & Fleas market sells vintage clothes, jewellery, home accessories, posters and more… I didn’t buy any thing in either of these places (although I would have loved to put some whole stalls in my backpack), but going to absorb the atmosphere is fun in itself. In winter, even if you are not skating, it is fun to watch people on the ice at the Wollman rink. 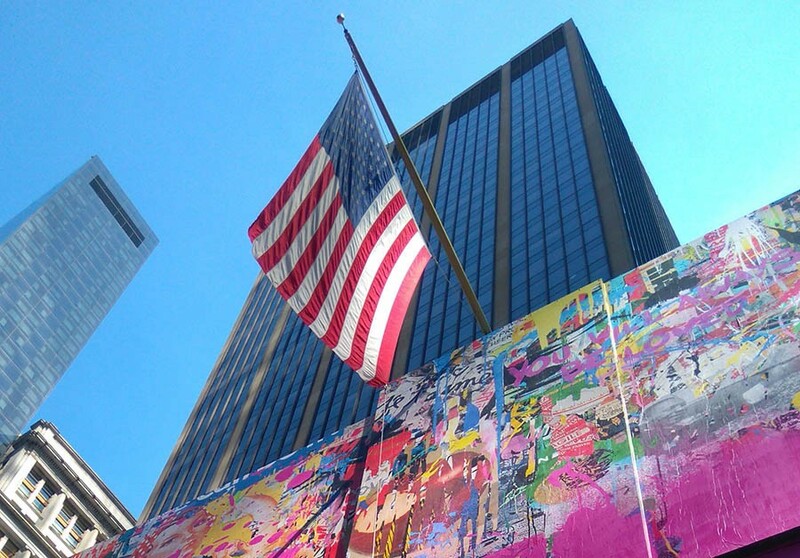 The cost of museums quickly adds up to be a big expense if you are trying to visit a few during your trip to NYC. Do some research before you go to see if and when museums have free days or time. For example, if you are interested in visiting The Frick Collection you can go on Wednesdays from 2 p.m. to 6 p.m and pay what you want or on the first Friday evening of most months. There are several museums that have free times, like The MOMA – which is a romantic thing to do in New York, if you’re visiting with a loved one or even on your honeymoon – or where you can pay what you want including the Museum of Natural History. There are so many things in New York that you just have to see. But luckily, they don’t cost a thing! Buildings like the Empire State and the Chrysler Building are fantastic photo opportunities. Walking around Times Square is a must, of course – go there at night to see the lights in all their glory. And visit the New World Trade Center and the poignant 9/11 memorial to pay your respects to the victims of this tragedy. One of best free things you can do in New York is to walk over Brooklyn Bridge. You could either walk across the Brooklyn Bridge from Manhattan into Brooklyn or from Brooklyn to Manhattan. My recommendation though is to do the latter, as you have the spectacular skyline right in front of you. You will likely be taking the New York subway if you should decide to start in Brooklyn, either at Jay Street/MetroTech Station, Court Street Station or Borough Hall Station. Watch out for the Brooklyn Bridge Pedestrian Walkway and Bicycle Lane begin at Tillary Street and Adams Street. This is where you start. The High Line Park is an elevated pathway that stretches for 20 blocks around the Chelsea area. It’s a great place to stroll around and see the city from another perspective. Free activities are often offered on the High Line, like meditation from 8-9am every other Tuesday from June until September. Tai chi, stargazing and horticulture tours are also all offered. 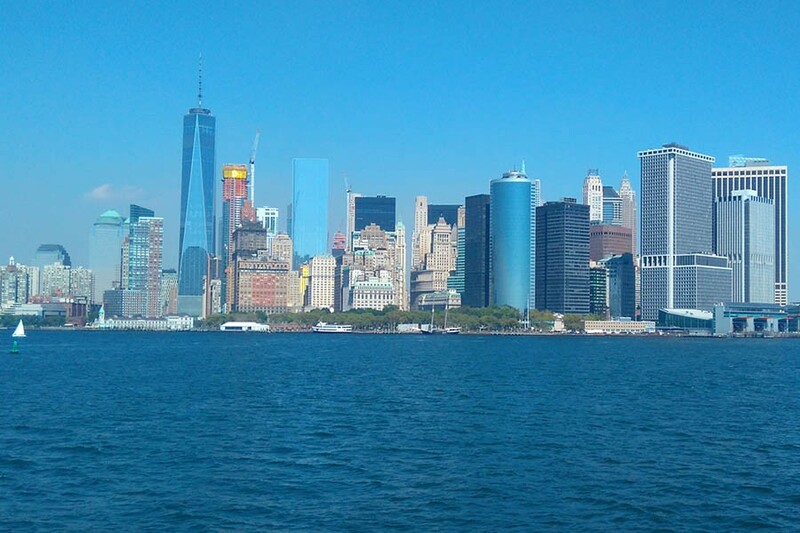 New York is full of great spots to enjoy the astonishing views of the NYC skyline. 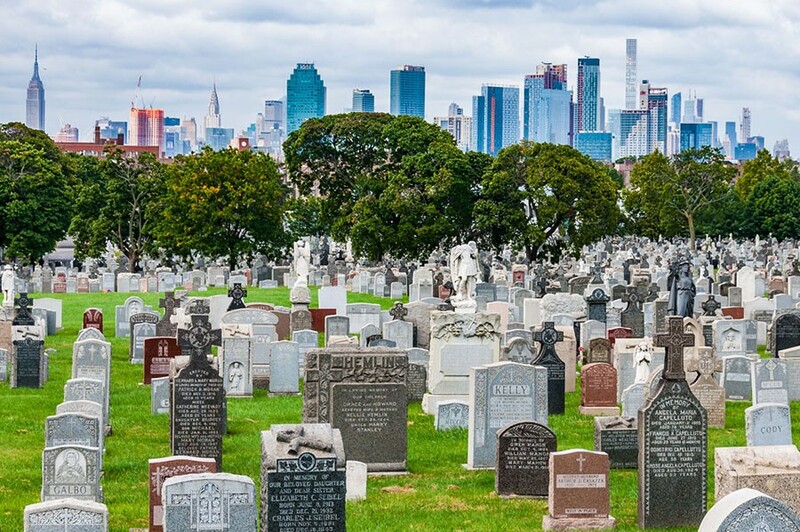 You might not guess that a cemetery can offer such views, but you will be surprised if you get to visit Calvary Cemetery in Queens, one of the oldest cemeteries in New York. Apart from the great views, you will also have the chance to submerge into the history of the city here, since many famous personalities are buried here, such as important members of the Italian mafia. If you are a movie freak, you will recognize this cemetery from the Godfather movie, where Vito Corleone’s funeral was shot. The visit to the cemetery is free of charge. If you’ve never experienced a live standup comedy, you should totally try it out when visiting the US. 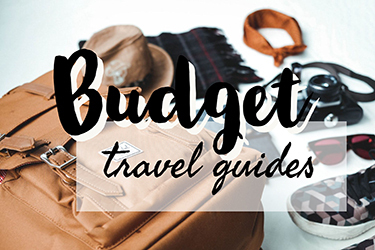 Even travellers on a low budget can have enough fun, without spending a penny. Many comedians, especially the starting ones, need to test their jokes before getting in front of a big audience for a paid gig. They often work with hostels, where they offer a free stand up piece for the willingness to be a guinea pig. New York City is an expensive city especially when travelling with 3 kids so to imperative to counteract some of those costs. We have found that if we print off the hop on/hop off bus map and visit the same sites via the subway we can save a fair bit of money and often arrive quicker as we miss all the traffic when not on the bus. It’s also a great way to get your bearings in a city that is so big and the subway which is complex on first few attempts. We just use google maps and wikipedia and boom got your own self guided tour of New York City and you’re not missing out on anything! It’s one of the most fun things to do in New York in winter or summer. A fantastic way to enjoy New York on a budget is to spend an evening watching a film in one of the city’s gorgeous parks – all for free! You don’t need to book anything – just turn up, pick a spot and settle down on a blanket! There’s a list of upcoming movies on the official NY parks website, so you can choose a date or film that’s best for you during the whole summer. There’s plenty of choice from recent big screen showings too – you won’t have to sit through a second-rate film no-one has ever heard of! With all of these free things to do in New York, you probably won’t have much time for anything else! But here are a few essential cheap things to do in the city to help you make some budget cuts. Ok, this one’s not quite free, but you must go to a Broadway show when you visit New York. The problem is tickets are expensive. The good news is you shouldn’t pay full price unless you have your heart set on one of the top shows like Hamilton. The more flexible you are on the show you want to see the more you will save. If you do want to see a specific show, check out Broadway Box. You can get a discount code for many popular shows. Take that discount code and buy your tickets from the theater box office to avoid the convenience fees which can be $10 a ticket or more.If you are more flexible, you have several options to get cheap broadway tickets. You can try a TKTS booth for day of discounted tickets or if you don’t want to wait in line there is the TodayTix app. Sometimes, you can also find discounted tickets on Groupon. If you are feeling lucky, you can try for lottery, rush, or standing room only tickets. Check the policy for the particular show that you want to see in but in general, it will require you to wait at the box office during the day. Taxis are unsurprisingly costly in New York, but there are some other cheaper ways to get around the city. But for $30 you can purchase a 7 day railcard – which means unlimited subway travel. New York as a city is very walkable and easily travelable by rail, at any hour of the day or night (even if the subways are crazy confusing). So $30 is the only really necessary transportation cost for a week in the city that never sleeps. Down 5th street. Around Times Square. Over the Upper East Side. In Chinatown. New York is extremely walkable and while it may feel like your legs have been wrenched out of your body after the first couple of days, it really is the best way to absorb the city in all its glory. I probably spent a good 60% of my time here just walking around and looking up. There’s no place better. If you’re visiting New York on a shoestring budget and want to eat as cheap as possible and you have access to a kitchen, the best way is to cook it yourself. Eating culture in New York is significantly different to British cities. In London or Bristol there are dozens of small local supermarkets, but American big city society focuses more on eating out and less on convenience cooking. Even though it is perfectly possible to cook your own food in New York, you do have to look for it a little bit harder. Smorgasburg has to be my absolute favorite thing to do in the Spring, Summer, and Fall in New York City, especially when I am trying to save money. Smorgasburg is an outdoor market in Brooklyn (it switches locations between Dumbo and Williamsburg on Saturdays and Sundays) featuring hundreds of food stalls ranging from fried chicken to pasta to ice cream. Each stand is from a different restaurant or well-known spot in the city. There are usually about 5-7 options at each stand and nothing is ever over $10 for each piece of food! Smorgasburg is always on my hit list for anyone visiting New York City in the warmer months! How does trying one of the 25 best pizzas on Earth at a humble price of $2.75 a slice sound to you? What if I also tell you that the place where you can get this slice — Joe’s Pizza in New York’s Greenwich Village — is frequented by the likes of Leonardo DiCaprio, Anne Hathaway, Conan O’Brien, and Jessica Alba? Do you want to drop whatever it is you are doing right now and run there? Well, that’s what I did. Established in 1975 by Joe Pozzuoli who is originally from Naples, Joe’s Pizza is a classic NYC institution. After 43 years in operation, the joint is still an independently owned business with only one location at 7, Carmine street. The menu is short and to the point, the prices are a joy to look at, and their fresh mozzarella slice is unbelievable. By the way, if you are a fan of Spiderman you might recognize this place since the character of Tobey Maguire in Spiderman-2 worked as a delivery guy for Joe’s. Check out more New York restaurants from movies in this post. 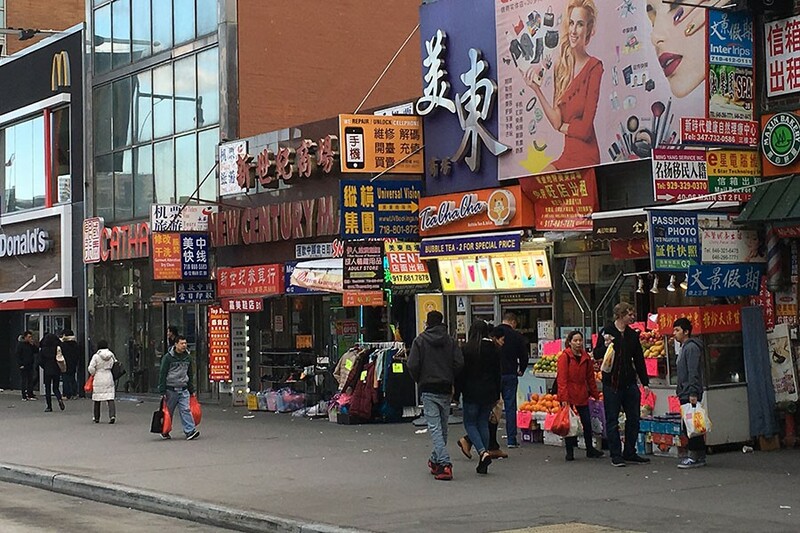 Flushing is a part of New York that is frequently overlooked but shouldn’t be. About 6 miles from mid-town Manhattan, in the borough of Queens, at the end of the #7 train line, Flushing is a world apart. 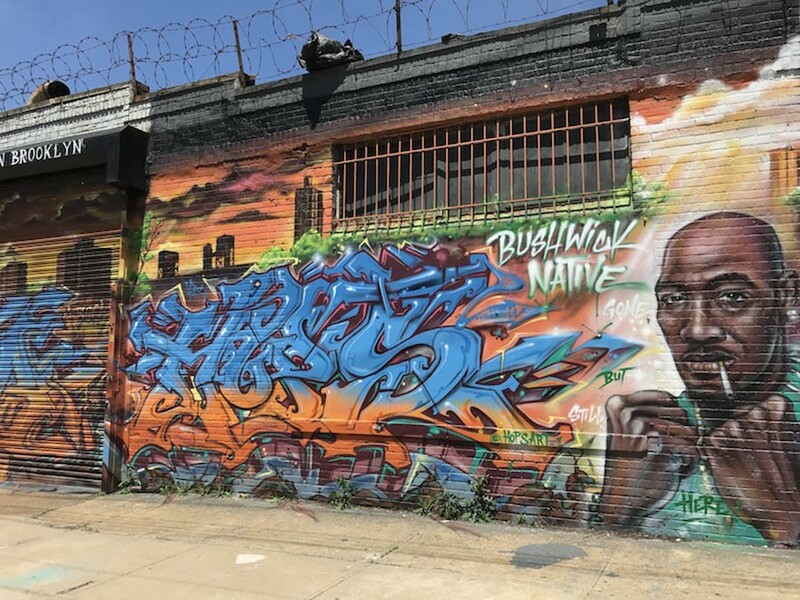 It is rapidly becoming one of the largest Asian enclaves in the U.S. with communities from Korea, China, Malaysia, Vietnam and more. Savvy New Yorkers now head to Flushing for authentic Asian food. The prices at the many restaurants that line Main Street range from moderate to a couple of dollars for a bowl of pho in an Asian night market environment. Consider heading to Downtown Brooklyn for great food on a budget. Along Atlantic Avenue, you’ll find many Yemeni restaurants and great antique markets. I often enjoy stopping for a coffee at some of the Yemeni cafes while watching some of the ongoing chess games. However, for a meal, my favorite restaurant along this block is Bedouin Tent, where you’ll find delicious pita, fresh made hummus, and scrumptious baklava with a cute garden in the back. Just know that they’re cash only and quite crowded during dinner time, so be sure to be prepared as the nearest ATM is a ten minute walk. By Karen from WanderlustingK. Here are some more tips for downtown Brooklyn. 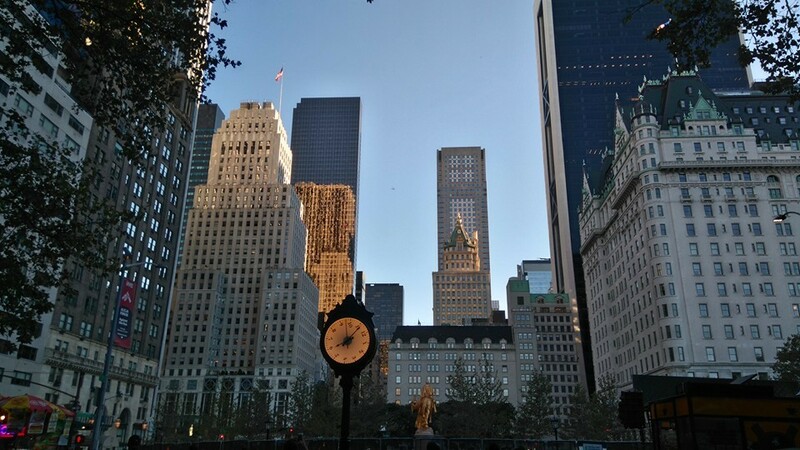 If you are trying to visit NYC on a budget, but still want to have a taste of what makes the city so special, one of my biggest tips is to hunt down the best happy hour deals in the city. Usually way longer than an hour, these specials can be an incredibly good way to still indulge in some drinks and fun while you are on your trip. I’ll let you in on two of my favorite happy hour spots, one in the Lower East Side of Manhattan and the other in Williamsburg, Brooklyn. The first one, Local 138, has an amazing happy hour with draft beers for $4 (used to be $3, sadly!) until 9 PM every night. It is your average dive bar but the convenient location can’t be beat – it’s easy to go from there to trendier (pricier) bars later in the night. The other bar I recommend is Night of Joy, a cool, funky bar in Williamsburg near the Lorimer L that has delicious cocktails for a mere $6 until 8 every night. The décor is great, the music is good, and the rooftop is amazing in the summer. 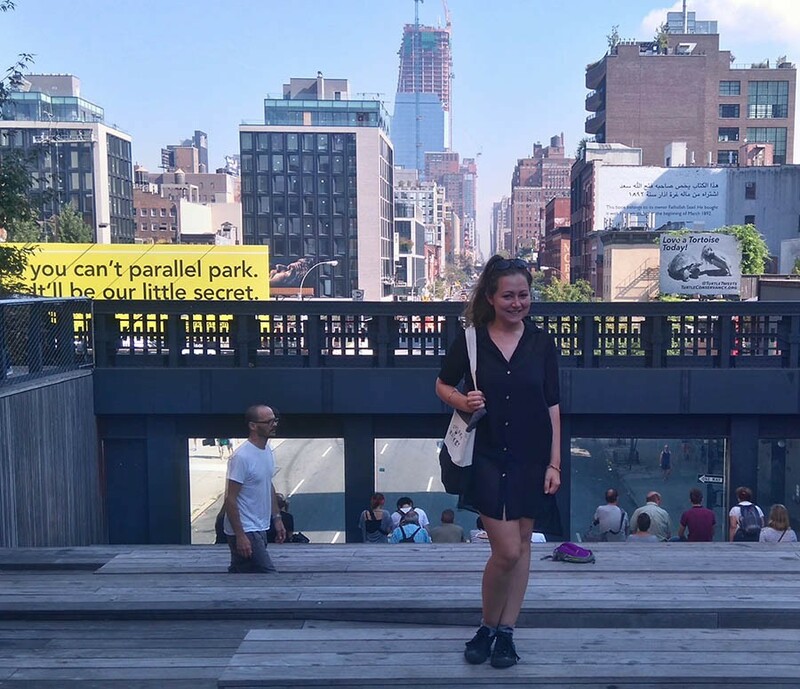 There are plenty of other places with happy hour but those are two favorites and always are part of my money-saving NYC tips for first timers to the city! Even hostels are crazily expensive in New York City, with prices ranging from around $35-$60 per night just for a dorm room. It’ll no doubt be the biggest dent in your travel budget – but the plus sides to staying in hostels in New York are that they sometimes include breakfast and cheap dinner offers. Here are some of the cheaper options. HI NYC Hostel is the largest hostel in North America, with lots of space for guests to socialize. Located in prime position in Manhattan, you’re a stone’s throw away from New York’s best attractions, and there are events at the hostel as well. The dorms are newly renovated and offer free linen and towels. Click here for rates and to book today. The Brooklyn Riviera hostel is spotlessly clean, with a backyard BBQ area and offers 4 bed dorms with privacy curtains and individual lights and plug sockets. It is about 30 minutes to NYCs attractions, but as it is out of Manhattan, the prices are lower. Click here for more information. Q4 Hotel is located in Long Island City, a little further away from Manhattan. Again, the prices reflect this. Q4 is a budget hotel and hostel, so is great if you are after some privacy. It offers free WiFi, a rooftop and basement chill area and different size rooms. Click here for more details and to book. There are lots of Couchsurfing opportunities available in New York – and they’re completely free. If you go down this route, make sure that you take the time and make the effort to get to know your hosts – they’re not doing it just to provide you with free accommodation, they want to make connections. One of the easiest way to cut costs when visiting New York City is to stay in a hotel outside the city – or outside the state! You could stay in one of the cool neighbourhoods of the city like Dumbo, or even further out. Just on the other side of the Hudson River is Hoboken, New Jersey. It’s about 25 minutes by train, so it will take you a little bit to get into the city, but if you don’t mind the commute, you can save quite a bit of money. Hotels in Hoboken are typically $100 – $200 cheaper than if you were to stay in a hotel in Times Square – even if you’re visiting New York for new years or any other special event! New York is pricey, there’s no denying it. But most of its intricate beauty can be marvelled at without parting with thousands of dollar bills, especially if you have somewhere you can stay for free (and can use their cooking facilities). Despite spending zero dollars on tourist attractions, I feel like I experienced a lot of what the city has to offer while I was there. Of course, you could be there for five years, or maybe even a lifetime, and still feel like NYC has more to give. I guess that’s why it’s made its way near the top of my must go back soon! List…. Thanks very much 😀 glad you like it! 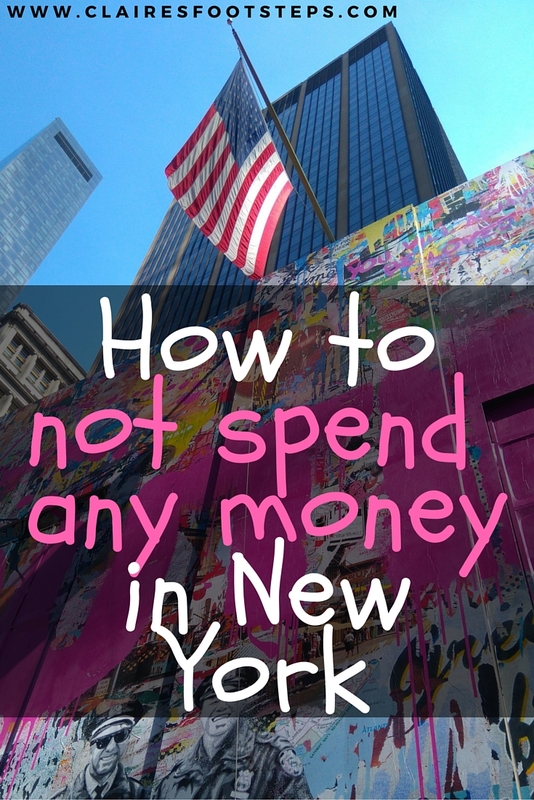 Not sure I’ll make it back to NYC, but these are great saving money tips! Good article, money can be such a juggle! I always find free things to do wherever I go, that’s part of the fun for me. Love open markets! Yes definitely, I think so much can be seen if you just walk around looking at everything! Great post! We absolutely love New York and even got married there! The food is definitely too tempting to save money on, but the Staten Island ferry is a must whether you are on a budget or not. Thanks for sharing! We haven’t been to New York in years other than making connections at JFK. If we ever make it back there I will be taking notes from you and the info you are giving on saving a few dollars. Like you I would love window shopping in New York, I heard their displays are incredible! Great suggestions. Glad you were able to have a nice time in NYC after the initial shock of the fees. I’ve been about 100 times and usually travel by cab but after your hint about the $30 subway card that lasts a week, I may never use another one. Thanks for that. Haha I’m glad I helped, it was a great find! Super useful! New York’s next on my list as my boyfriend’s family lives nearby, and I love budgeting where ever possible. Thank you for the tips! I’m glad you liked the ideas! Enjoy New York! 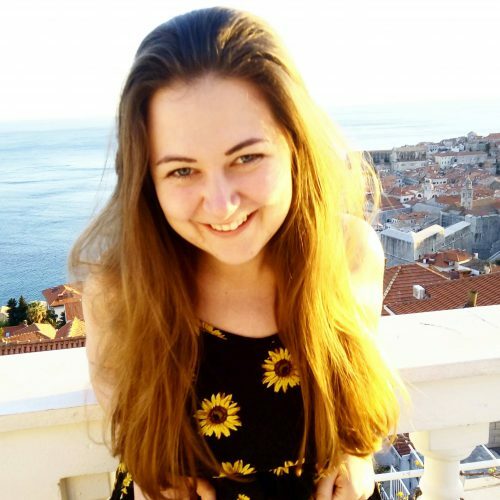 Yes the hostel was definitely the most expensive bit, but you could definitely find cheaper further out the city or couchsurf 🙂 hope you enjoy the tips! What great tips! I’ve always thought of NYC as being an expensive city for traveling, but you make it sound totally accessible for families on a budget. Such a cool, minimalist concept! I hope to make it to New York City some day, so I pinned this post to save all of your excellent tips.